Convergence of recent advances in mobile high performance computing (HPC) and mobile ad hoc networks is termed as ‘tactical cloudlet’. A fully realized tactical cloudlet concept provides a unique capability for the military and this capability would be powerful not only in enabling highly mobile, highly responsive, and quickly deployable tactical forces but also enhancing soldiers’ situational awareness through real-time on demand data analytics. However, significant technical and research challenges remain before this realization is viable. Addressing the technical challenges of tactical cloudlets in harsh military environments is a significant task that will require the invention and adoption of new technologies. As opposed to commercial large-scale cloud computing based on fixed network concept, the Army requires mobile, adaptable, power-aware, cost-effective, high performance computing solutions to facilitate efficient processing for increasingly digital and ad hoc mobile networked battle spaces. Tactical cloudlet is a subset of military mobile ad hoc network (MANET) and is an autonomous collection of secure mobile ad hoc power efficient HPC nodes that communicate with each other over wireless links and cooperate in a distributed manner in order to provide the necessary functionality for battle command solider-centric applications. Also, localizing, optimizing and controlling the band width at local cloudlet levels can lead to an overall optimized system and may help to mitigate bandwidth allocation on the battlefield. In addition, this type of a tactical cloudlet, operating as a stand-alone network or with one or multiple points of attachment to the military backbone network, paves the way for numerous new and exciting applications. For example, emerging power-efficient, customizable parallel and reconfigurable computing architectures and new developments in mobile ad hoc network technologies have the potential to provide scalable and mobile ad hoc processing power to tackle many of the Army’s processing needs on the battlefield. This talk will discuss some of the research challenges in scalable algorithms and software infrastructure associated with tactical cloudlets and our early research results. Dr. Namburu is the Chief for Computational Sciences Division at ARL where he is also the Director for the DoD Supercomputing resource Center (ARL), the Director for Mobile Network Modeling Institute, and the Cooperative Agreement Manager for the Army HPC research Center. 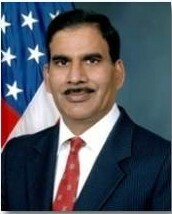 Dr. Raju Namburu received his Ph.D. in Mechanical Engineering from the University of Minnesota. Dr. Raju Namburu’s research and development activities include computational sciences, computational mechanics, interdisciplinary thermal-structural-fluid applications, computational electro-magnetics, network modeling, multi-scale computational methods, and high performance computing. Dr. Namburu has more than 100 publications in various journals and refereed papers in international conferences and symposiums in the areas of computational sciences, computational mechanics, scalable algorithms, network modeling and high performance computing. His awards include the Department of the Army Superior Civil Service Award; Army Research Development and Achievement award 1997, 2001, 2009; and the Army Science best paper awards at the 1998, 2000, and 2002 Army Science Conference. Dr. Namburu is a Fellow of ASME, and a member of USACM, and IACM.